When the bakery closed in 1999 I was left with a huge pile of debts and a building in serious disrepair. I had no money at the time to do the necessary renovations. When I sold my London flat that I was previously renting out, I managed to pay off the vast majority of my debts and just had enough left to purchase the computer you see here. 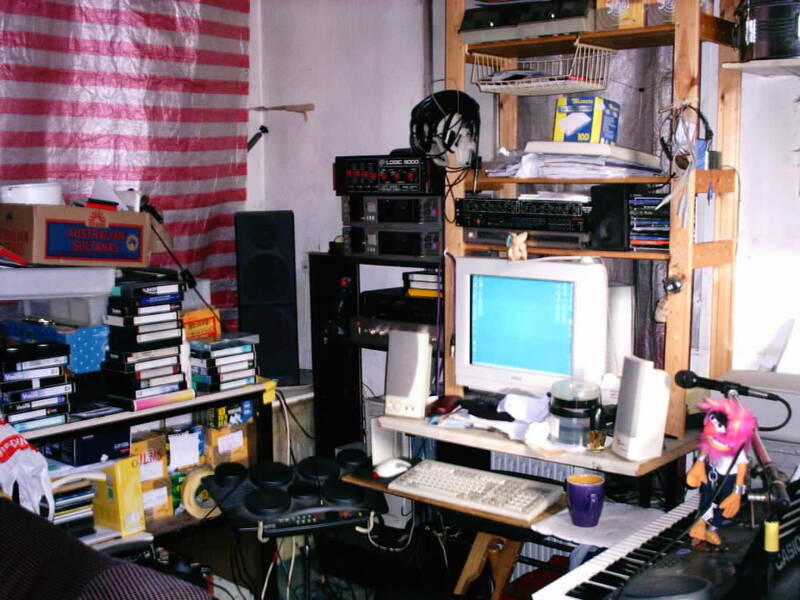 This was my original workspace back in 2004 before all the work started on the building. It was a dark and damp room, where I also cooked, slept, and lived.There was no soundproofing or acoustic treatment so I had to do most of my mixing on headphones. 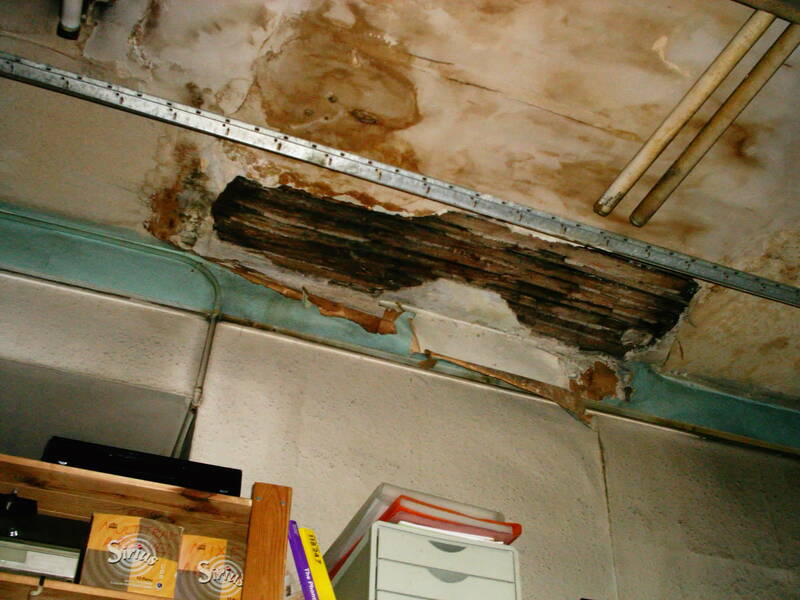 Water damage from a leaky roof surfaced immediately above my desk and bits of plaster were constanly falling beside me. It was dark, damp and depressing. There was no central heating, it was damp and mouldy and I also had to share it with several families of mice that had decided to move in from next door. The strange thing was that when we were in operation as a bakery, there was no sign of any mice, yet we did see the occasional cockroach that were kept under control by our contracted pest control company. As soon as the Bakery closed, the cockroaches moved out and the mice moved in! I slept in the opposite corner of this room and one night shortly after this picture was taken, I was woken at 3.30am by an almighty crash. 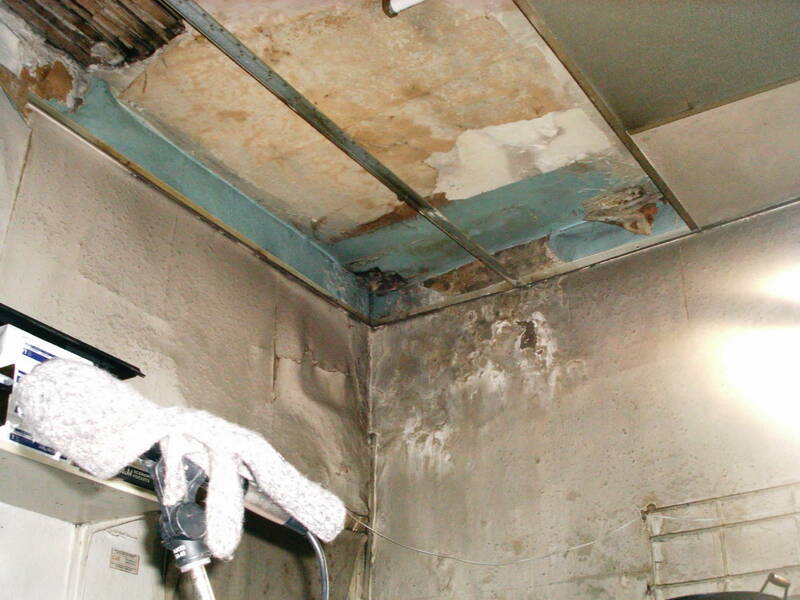 All the plaster you see in the corner of the ceiling here decided to crash to the floor, bringing half of the false ceiling fittings down with it. A few months later in April, my father sadly passed away. This meant that with the little money he left me in his will I could at last get all the repairs done. 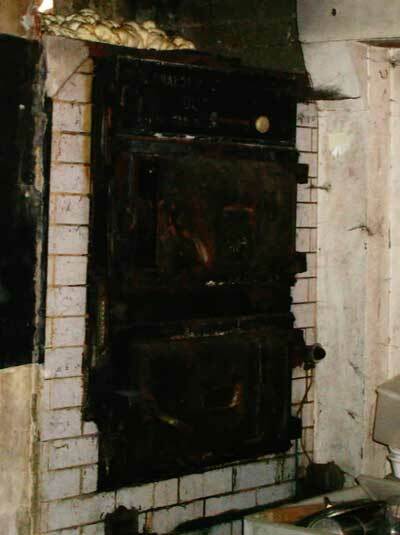 In the adjoining room, the 60 year old brick-built gas bakery ovens were in full use up until we closed the bakery. After nearly 5 years of damp and neglect, they had seen better days! The plan was to demolish them and build an extension to the property that would house the new kitchen and toilet facilities. Alas, by the time the work started in 2006, construction prices had gone through the roof, but the only thing going through the roof at Wobbly Music by this time was gallons of rainwater! So, it was ‘goodbye extension’, and ‘hello focal point’!